The U.S. hair care services industry is immense, with combined annual revenue of about $20 billion*! This is your chance to provide always-needed haircare services within not one, but two, dynamic industry sectors! The Just Cut It® business model challanges the market by providing both men’s & kids haircut services AND value - all in one convenient location. 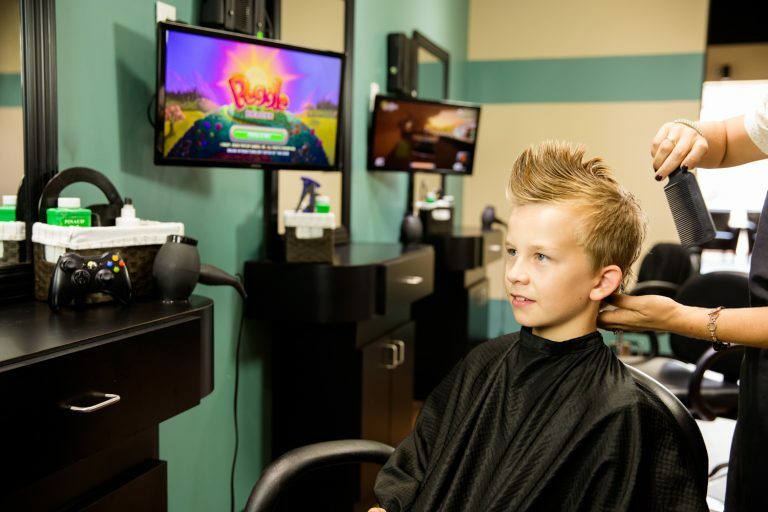 The Just Cut It® concept caters and appeals to men and kids of all ages. Moms love bringing us their kids too! Singles, dads, boys and girls, families… anyone looking for quality and value… no matter who they are, your customers will know they can get a great haircut (and other related services, such as shampoos, beard trims, and more! ), all with the friendliest service. Best of all, as part of the Just Cut It team, you’ll have exclusive access to a full line of training, tools, and support services to help you operate your exciting, unique hair salon franchise! You can offer quality hair care services, and also offer retail products for sale – to build your business on multiple fronts! Learn more about this amazing opportunity. Visit our Frequently Asked Questions page, request more information, or contact us toll free at 517-410-2401 or [email protected]. This is not an offer to sell a franchise. The Just Cut It franchise is offered only by our delivery of a Franchise Disclosure Document to you in compliance with FTC Rule 436 and various state franchise sales laws.